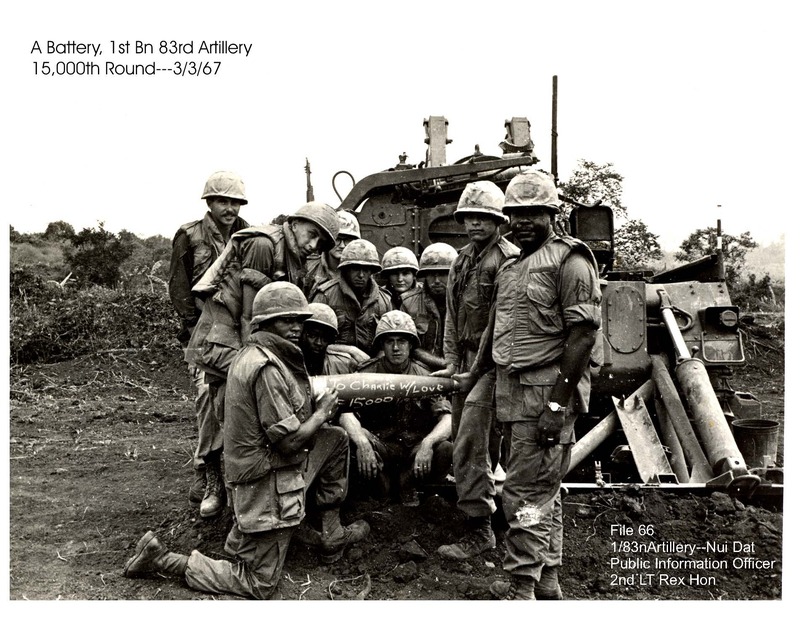 Veteran of "A" Battery 1/83rd Artillery 1966-1967 and 1970-1971. 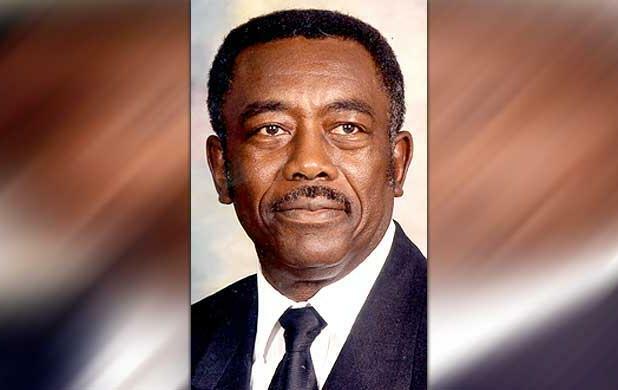 James A. Diggs, 77, of Lawton, Okla., died Monday, Feb. 1, 2016, in Wichita Falls, Texas. He was born Aug. 26, 1938, to Garfield and Louise Diggs in Henry County, Tenn. He entered military service in 1957 and retired with 30 years of service in 1987 attaining the rank of sergeant major. During military service, he was awarded the National Defense Service Medal, Vietnam Service Medal with 5-bronze service stars, Republic of Vietnam Campaign Medal, three Overseas Service Bars, Army Commendation Medal, Bronze Star Medal, Meritorious Service Medal with 2nd Oak leaf Cluster, Vietnam Cross of Gallantry Unit Citation with palm 2nd Award, four Overseas Service Ribbons, Army Service Ribbon, Non-Commissioned Officer Professional Development Ribbon, Good Conduct Medal, Sharpshooter and the Legion of Merit. He attended Cameron University and completed the following military education: First Sergeant Course, Non-Commissioned Officer Advanced School, Non-Commissioned Officer Academy, Vietnamese Languages Course, Chemical/Biological Courses and Gateway to German. He was employed by TELOS after his retirement and was founder and president of the Fort Sill Sergeant Major Club. He served the Oklahoma Northwest Jurisdiction of the Church of God In Christ located in Tulsa, as secretary of the State Trustee Board and a member of the Elders Council. He was a member of the Lawton Interdenominational Ministerial Alliance and City-Wide Brotherhood. His service to his church, New Hope Church of God In Christ, included: Senior Elder of New Hope Church of God In Christ, Business Manager, Church Finance Chairman, Trustee Board, Brotherhood President, Sunday school teacher, and secretary and Finance Chairman for the Lawton District. He also became the Administrator of the Every Life Matters, Inc. (Sanders Heights). Elder Diggs memory will be cherished by his devoted wife of 48 years, Ida Diggs, of the home; sisters: Equilla Kendley of Tennessee; and Wanda (Odell) Tharpe of Tennessee; daughter, Audrey (Elijah) Davis of Oklahoma; son, Frankie (Sheila) Reynolds, of Indiana; grandchildren: Dr. James (Dr. Sara) Jones of Oklahoma; Melanie (Regi) White of Texas; Chad (Christine) Davis, of Missouri; Kellie (Michael) Phea, of Texas; Shaun (Chauntel) Davis, of Texas; Kendrick (Tonya) Davis, of North Carolina; 10 great-grandchildren; nieces and nephews: Nadine Walls, Jacqueline Alexander, and Wyvonne (Bishop Alonzo) Hatchett Jr., all of Tennessee; Eric (Everlina) Alexander of Alabama; Daniel Bruce Bowden, Brenda (Amos) Patton of Tennessee; Sylvia (Steve) Brown, Sanford; Marilyn) Frazier of New York; Michael (Ramona)Tharpe of Tennessee; Patrick (Kimberly) Tharpe, Tennessee; Cassandra (Danny) Taylor of Tennessee; Sharon (The Rev. Thomas Ray) Teague of Tennessee; Flecia (Stanley) Joyner, Regina (Bruce) Robinson and Teresa Dunlap, all of Tennessee; Tracey Webb and Cynthia Diggs, both of Tennessee; Donnelle (Dorothy) Tharpe of Arizona; Juanita Tharpe, Marcus Tharpe, Marvin Diggs and Alisha (Jerald) Crutchfield, all of Tennessee; Deacon Curtis (Ann) McCulloch of Washington; retired Maj. Harvey (Jennifer) Smallwood of Georgia; Renita Renee Owens of Georgia; Dr. Dermathe Lavelle of Washington; and Felicia Irby of Washington. He was preceded in death by his parents; his brothers: Phillip and Melvin Diggs; sisters: Patricia Tharpe and Anna Mae Hill; and daughters: Louise Milligan and Minnie Ruggs.